Click to visit the Symposium website! 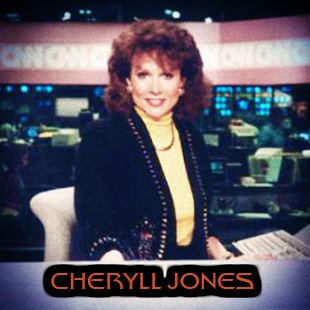 Cheryll Jones' accomplished TV broadcasting career covers extensive experience on both sides of the camera. Starting as a weather reporter, Cheryll quickly extended her skills and credentials to include talk show host, producer, field reporter, writer and network news anchor. She is uniquely distinguished as the only TV broadcaster to be both a news anchor and degreed meteorologist at the network level. Her career has taken her from her hometown of Knoxville, Tennessee to major markets including Miami, Atlanta, New York, Denver, Kansas City and West Palm Beach. 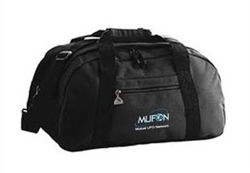 MUFON Field Investigator training is offered annually at the MUFON Symposium. This unique event affords one the opportunity to learn from some of the best UFO Investigators and Researchers in the field of ufology. Including MUFON's Chief Technical Advisor, Chuck Modlin; MUFON's Chief Photo Analyst, Marc D'Antonio; MUFON's Director of Research, Robert Powell, as well as MUFON's Director of Experiencer Research Kathleen Marden and many more! 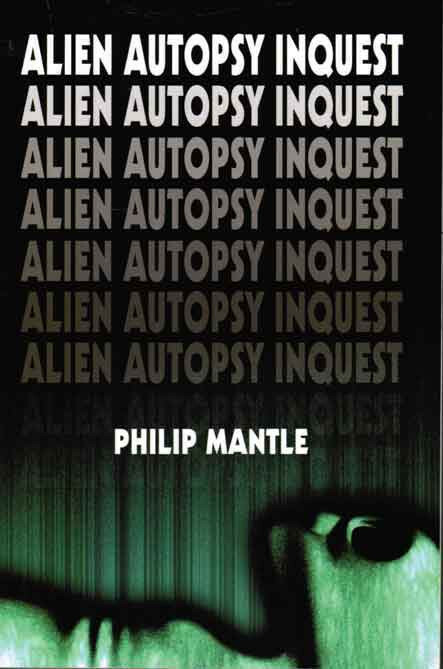 So, come spend your day learning from the best in the field of UFO investigations and build up your UFO investigative skills to be the very best they can be! Looking to expand your knowledge and for a bit of fun? Then join us for a few Special Events. We have several awesome and interactive events that will take place over the course of the Symposium and you are invited to attend. This year we are hosting the Symposium at the Hotel Irvine, in beautiful Irvine, California! This luxurious and amenity-filled hotel has recently undergone a $50M renovation and offers a relaxing and world-class way to spend your time at the Symposium. 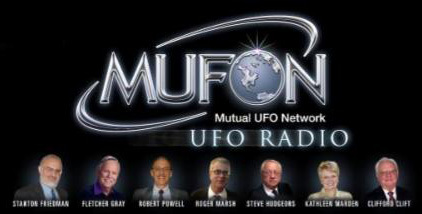 MUFON has negotiated a special rate for Symposium attendees of $119 per night. Edgar Rice Burroughs hardbacks for Trades & Wants. Now that I’ve started reading Will Murray’s new TARZAN novel, it reminded me that I have some duplicate hardbacks for trade, and I still need quite a few hardbacks in my collection. I need the following Tarzan hardbacks: AT THE EART’S CORE, THE INVINCIBLE, TRIUMPH, AND THE CITY OF GOLD, AND THE LION MAN, AND THE FORBIDDEN CITY, QUEST, THE MAGNIFICENT, AND THE MADMAN. 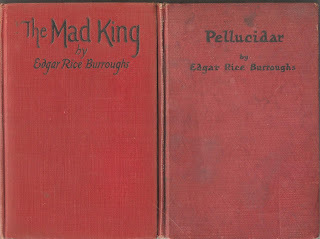 Here are two G&D editions for trade: PELLUCIDAR (1923), THE MAD KIND (1926). 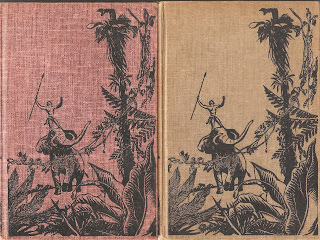 Two later G&D hardbacks of Tarzan: TARZAN THE UNTAMED and TARZAN AND THE GOLDEN LION. 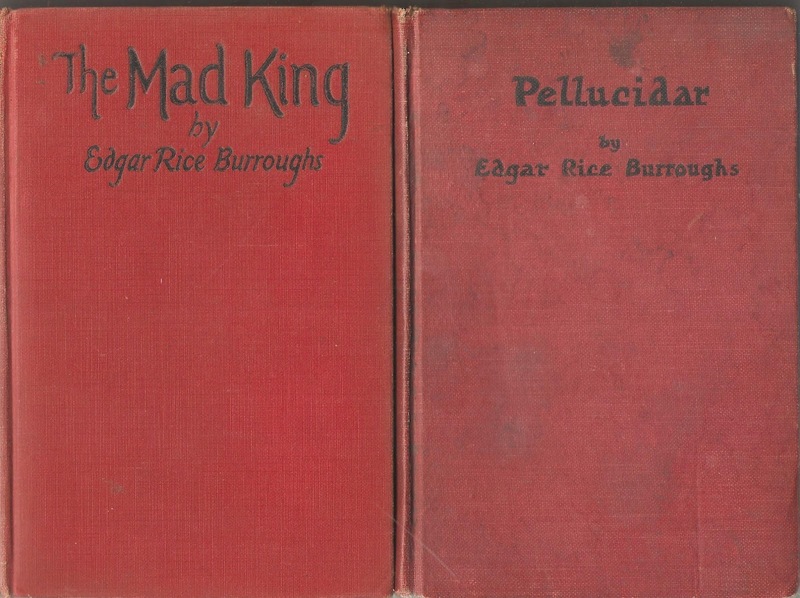 I need other Burroughs hardbacks, but I would really like to complete my Tarzan hardbacks first. The MUFON Website at mufon.com is now much more user friendly than in the past. We are busy behind the scenes loading in some of our most interesting Case Files, UFO News and features. The Home Page now gives users many more options for exploration. Please stop back often to see how we are progressing. Hangar 1: The UFO Files is in its second season on the History Channel - Friday's at 10 p.m. ET. Show content was developed from MUFON case files. Visit our Show Page and explore case investigations and Q&A's with show hosts. 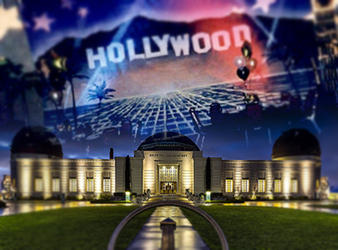 Explore MUFON's annual Symposium where the best minds in Ufology come together. Book it now. September 24-27, 2015. 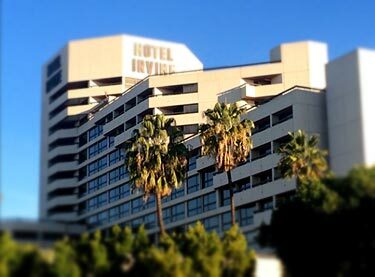 Hotel Irvine, Irvine, California. 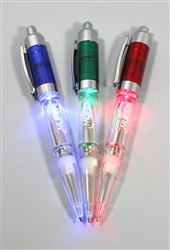 I joined MUFON in 1998. I retired from UPS in 2012 and spend my time writing books, running multiple states for MUFON, appearing in a couple of TV series, playing racquetball and kick boxing. I'm my Rotary Club Pres. and volunteer for JDRF and am currently running for School Board. I have never seen a UFO and had no interest in the subject until I was almost 40 years old. I was a B-movie, comicon, horror movie and magazine fan as a kid. I had no interest in ET unless it was a cool movie creature like in "Predator" or "Alien" and there was a lot of action in the movie. I started to experience paranormal activity in my early 30s when I moved to Oklahoma weeks after almost getting on doomed Pan Am flight 103 returning from Europe. 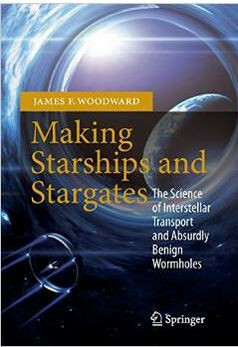 This inadvertently led me to wanting to write a sci-fi novel regarding end time prophecy which led me to the UFO question. 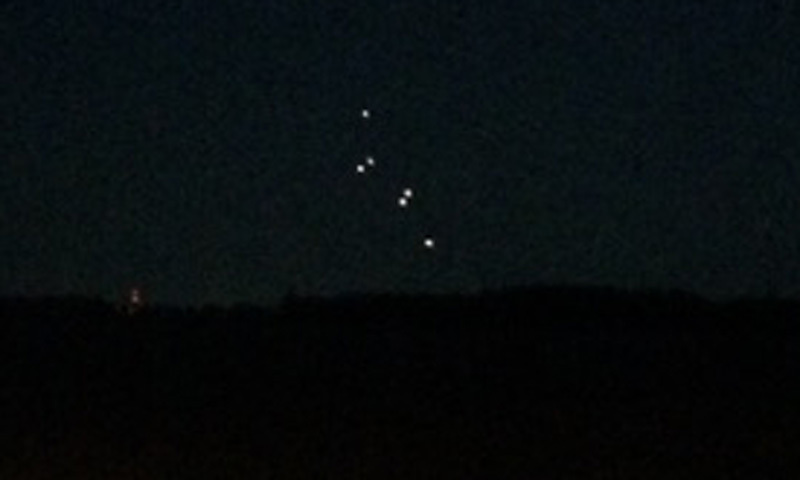 An Oregon witness at Forest Grove photographed a bright orb in the sky that appeared to split into multiple parts over a four to five minute period, according to testimony in Case 65981 from the Mutual UFO Network (MUFON) witness reporting database. The witness was driving in the plains of Forest Grove with a friend about 8 p.m. on September 19, 2014, when the object first came into view. "All of the sudden my friend spots a big bright, circular light in the sky, just stationary a little bit above the horizon," the reporting witness stated. But then they watched as the object appeared to split into multiple parts. EDITOR'S NOTE: Two Virginia teenage boys were watching television late on June 25, 2012, when something unusual happened. A light source began shining into their living room and caused them to stand up and investigate. 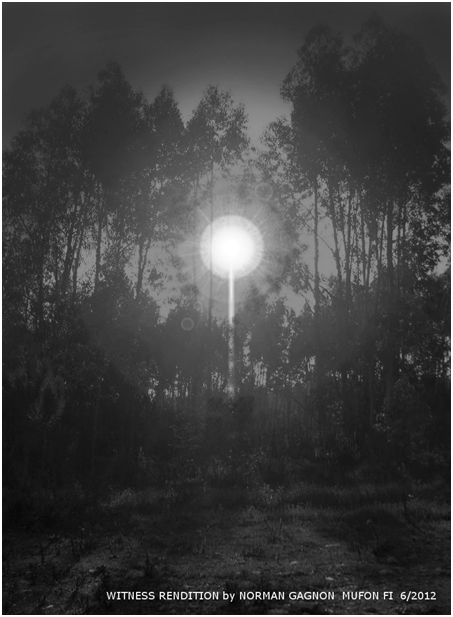 Field Investigator Norm Gagnon takes us to the scene where the brothers saw a "large, orange light hovering approximately 80 feet off the ground." The object was described as circular and between 700 and 900 feet in diameter. Now if that's not better than TV, I'm not sure what is. Special Guest Host Chase Kloetzke will be interviewing Richard Dolan on Tuesday, June 23, 2015 at 6 p.m. CST on KGRA Digital Broadcasting Network. Come join the conversation! Richard Dolan is one of the world's leading researchers and writers on the subject of UFOs, and believes that they constitute the greatest mystery of our time. MUFON Radio is evolving with every new show. At the request of Host Steve Hudgeons, KGRA and the MUFON Communications Department, we ask our members to come forward to be a guest on the show. 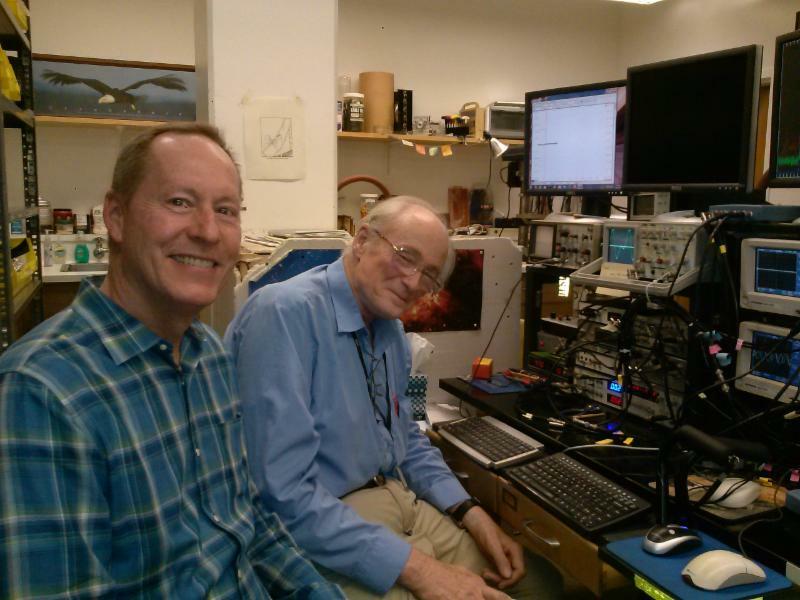 MUFON Radio would like to spotlight our brilliant investigators. If you have a case you would like to speak about with Steve on the MUFON Radio Show, please e-mail Cassidy at cassidy@mufon. 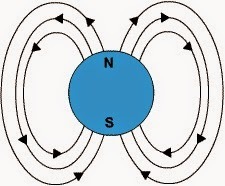 This installment is a review of the effects magnetic fields and forces display, and the differences between them. The force that attracts or repels at a distance is called magnetism, and is due to a magnetic field that is caused by moving electrically charged particles. Magnets have two opposing poles, and the flow of electrons from one pole to the other is what causes a field. This flow of electrons is called the lines of flux. One thing that is really cool about fields, is that it is still a mystery just exactly what they are made up of, but we do know that it is a special property of space! If two objects with magnetic fields come near each other, they can create a force. This force is called magnetism. Depending on whether the poles of two objects are like (N, N) or dislike (N, S) they will either repel or attract respectively. To demonstrate the differences I am using a liquid with magnetic properties known as Ferro fluid, and three neodymium magnets with insulators in between them. Here is one of the best examples of a "force" field your likely to see...since like gravity it is invisible! Something to keep in mind when out in the field using a Tri-Field Meter. 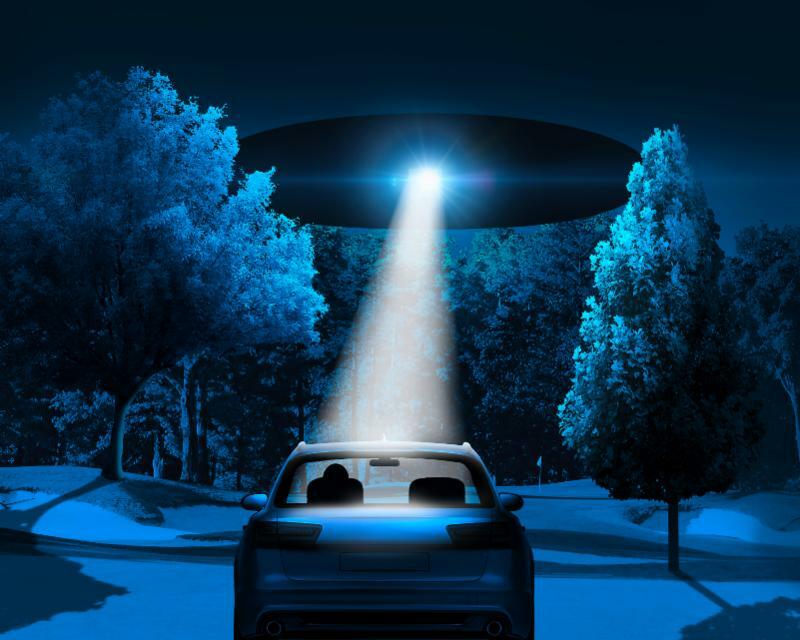 A Virginia witness at Fairfax reported watching a large, square-shaped object with bright lights at four points and a centered red light on its bottom side, according to testimony in Case 66278 from the Mutual UFO Network (MUFON) witness reporting database. 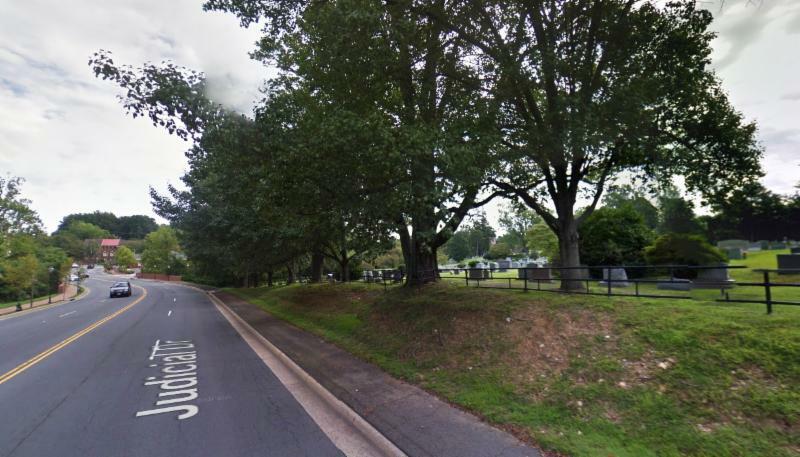 The incident began about 12:40 a.m. on May 25, 2015, when the witness and his daughter had a strange feeling about their environment and decided to explore the area on foot as a ghost hunt. MISSOURI MUFON June 12, 2015, Kansas City, MO: Stranger at the Pentagon with Craig Campobasso. See missourimufon.org for details. COLORADO MUFON will be hosting Dr. Leo Sprinkle at their monthly meeting who will be presenting "The Human Dimension in Human/ET Contacts: Evidence of contact and what does it all mean?" Saturday, June 13, 2015, 12 - 5 p.m. at the Sheridan Public Library, 3425 W. Oxford Avenue Denver, CO.
TENNESSEE MUFON is hosting a World UFO Day Festival, July 2, 2015. Speakers include Travis Walton, Peter Robbins and many more. Please visit worldufodaymemphis.org for details. MISSOURI MUFON July 10, 2015 Kansas City, MO: Beyond the Phoenix Lights with Dr. Lynne Kitei. 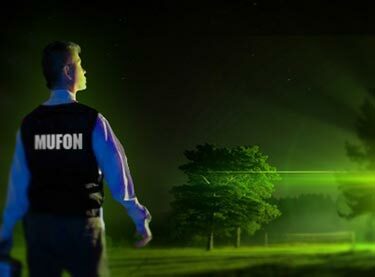 See missourimufon.org for details. PHOENIX MUFON welcomes the Arizona Navajo Rangers on Saturday, July 18, 2015. 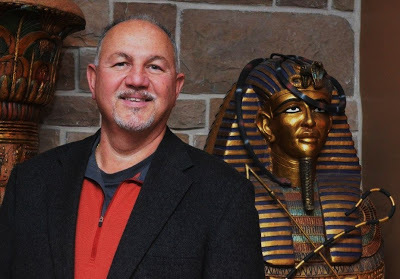 Stanley Milford and Jon Dover will lecture regarding the many UFO and paranormal investigations on the Navajo reservation by this elite law enforcement organization. 2-5 p.m. at the Arizona Historical Society Museum, Tempe. phoenixmufon.com for details. Robert "Bob" Patton, State Section Director for the Louisville Sector in Kentucky lost his fight with cancer and passed away on May 16, 2015 at his home in Louisville. Bob was 71 years old and will be missed.